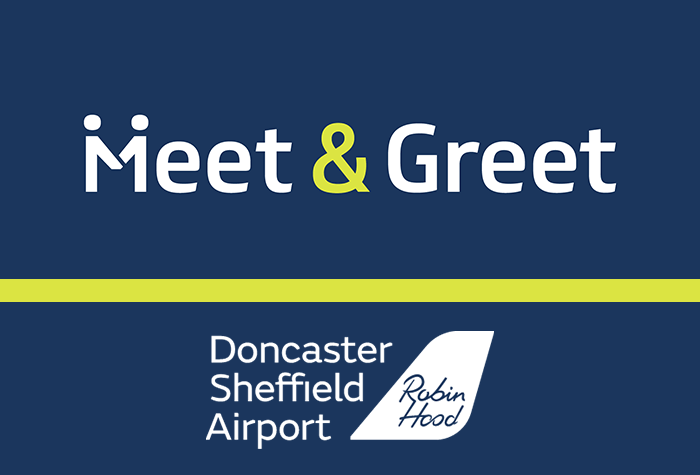 Not only is our Meet and Greet service at Doncaster airport the most convenient way of parking your car, it also happens to work out the cheapest. Save time and hassle by booking this stress-free package where you simply drive to the terminal and hand your keys over to one of our fully-insured drivers. You car is parked for you in a secured car park with CCTV and regular patrols whilst you stroll to check-in. On your return, you will be met at the terminal where your car will be waiting - ready for you to get started on your journey home. Simple. Experience Doncaster Sheffield airport's most hassle-free parking service - it's less than one minute from the terminal! Airport parking doesn't get simpler than with Meet and Greet. Just drop your car, grab your bags and go. Only planes park closer to check-in! It's a speedy process from the moment you arrive. On arrival, your number plate will be recognised and you will be issued with a ticket. Continue to drive in the second lane and you will arrive to another set of barriers. Please insert the ticket that you were issued at the first barrier. Continue to follow the signs for Meet and Greet, and the reception area will be on your left. Park in a bay, and head to reception. All that's left for you to do is take the short stroll to check-in - less than 60 seconds away. Everything is in hand when it comes to the safety of your car. It will be moved to a secured car park which has perimeter fencing and CCTV in use. There are even 24-hour security patrols for added peace of mind, so you won't have to worry while you're away. It's just as easy when you return. Collect your bags and head back to reception where the car park will have your car waiting. Just take your keys and you're free to head home. Save time for the things that matter and give Doncaster Sheffield airport's most convenient parking service a go! The car park is perfect for passengers with limited mobility as there is no need for a shuttle bus. If you've booked airport assistance make sure you call them when you arrive. Transfers aren't needed, it's just a one-minute walk to the terminal. Doncaster meet and greet. Exactly as described. Safe and secure and the staff are always friendly. Everything was just right and staff were polite. Meet and greet parking excellent and close to the terminal building. Lounge excellent and service very good. Our customers rated Doncaster Robin Hood Airport Parking on average 9/10 (1917 reviews). Read Doncaster Robin Hood Airport Parking reviews.